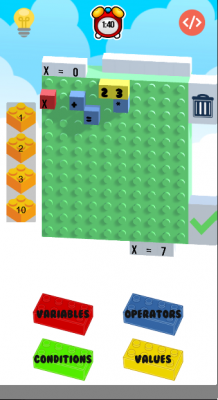 Teach children and students how to code and the basic fundamentals of logical thinking with one of their favourite pastime activities, Lego. 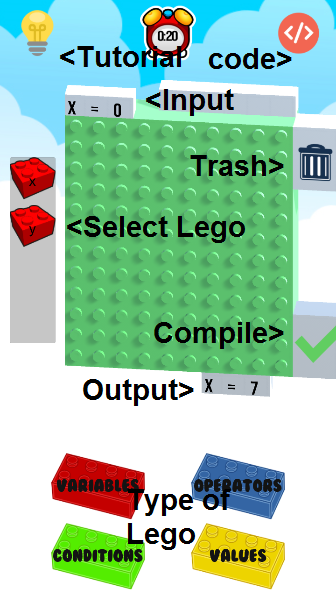 In Lego code, peices of code from variables, loops, logical and mathematical operator are given as single Lego blocks where you drag and drop on a Lego board to build a code. each level is presented as both a puzzle and a lesson, where you are given an input and a desired output and a collection of Lego/ code of variables, logical and mathematical operators and loops that are unique to each level, where you are required to build a code that converts the given input to desired output. 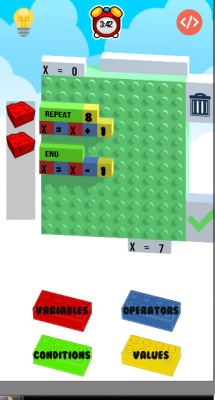 Levels can be structured to suit the programming courses provided at school making Lego code a fun and educational companion for students.